Chili, salsa, oregano, peppers, and more are the images of the Southwest United States. It is as if the region was a country unto itself. 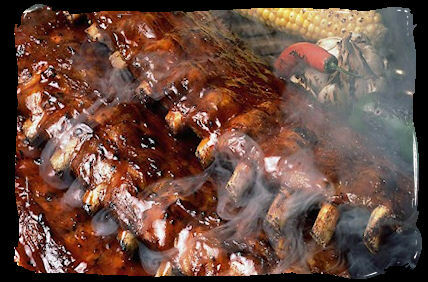 The flavors and aromas waft through the air to make the taste buds tingle with apprehension. This recipe transports you to an age of fiesta and siestas. Relax and enjoy! Without burning, melt the butter over medium heat and then add the onion and garlic. Simmer until they become soft and transparent. Lower heat to warm and add chiles, pepper, oregano and cumin to stir in well. Add remaining ingredients and heat over medium heat for about 10 minutes. Allow to cool and serve on ribs or chicken. Have fun!